Matix's Story . 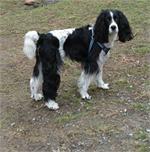 . .
Matix was surrendered by his New Jersey owner because of the owner’s long working hours. The family has a toddler and is expecting second child, and, since they live in a condo with no yard, Matix had no place to run and exercise. MAESSR agreed to help out this young Springer. Matix is good with children, and was very tolerant of previous owner’s two-year old son who would push his stuffed toys into Matix’s face. However, due to his jumping up in greeting and seeking attention, he would probably be best in a household with older children. 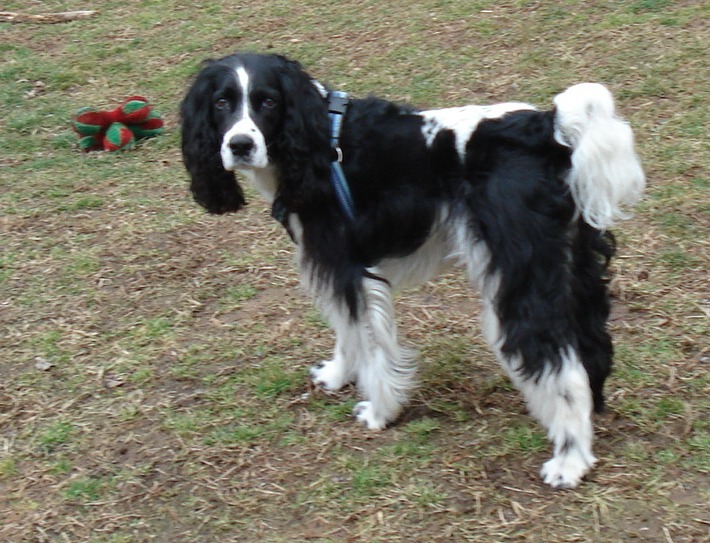 This handsome guy is housetrained and has shown no submissive urination. He does not chew inappropriately and has full run of the house when his family is out. Matix does not beg; however, if food is left on the counter and no one is around, he will steal it—he’s an opportunistic fellow!! He likes to sleep in the bed with his foster parents. 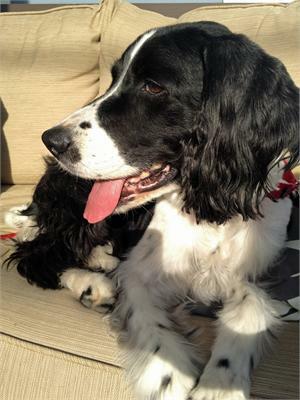 Unlike many Springers, Matix is not a swimmer; he isn’t afraid of water, but would rather spend his time chasing birds along the beach. He loves to run and enjoys playing tug-of-war; while he will chase a ball, he does not seem to grasp the concept of fetch. Leash walking practice is needed as this love will pull on the leash if he sees something he wants to reach—or, reportedly, if someone is carrying a skateboard !!?? Matix is okay in the car and rides in the passenger seat with the window open to get his nose out—no back seat driving for this one. He does become a bit anxious as he may associate car rides with trips to the vet or kennel. MAESSR’s new boy needs to learn what fun places are out there for him to visit. 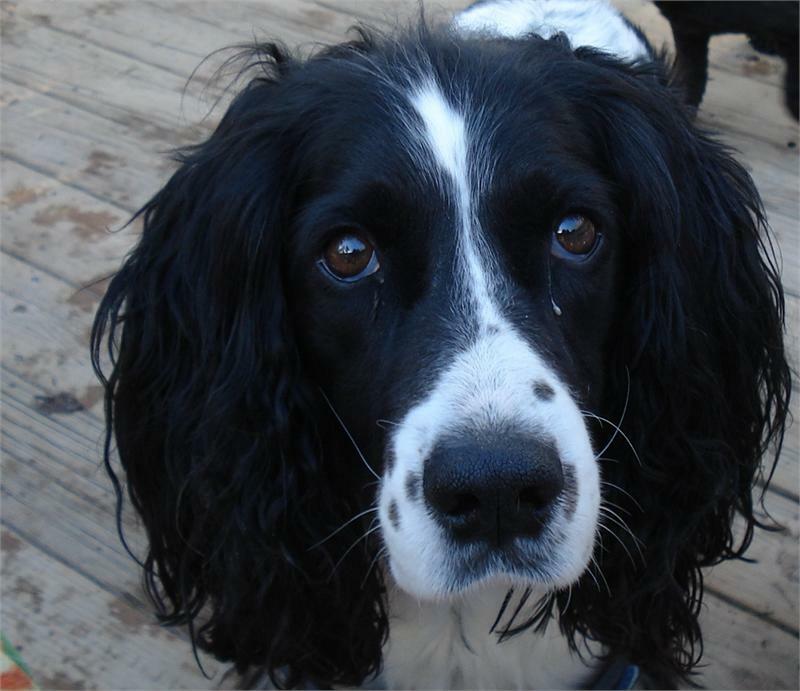 Ever the beautiful Springer, he is said to be good for the groomer, but does not like the noise of the dryer. He tolerates—doesn’t quite enjoy--having his feet handled and his ears brushed by his person. This boy is a love. He is so sweet and follows his foster dad everywhere he goes. 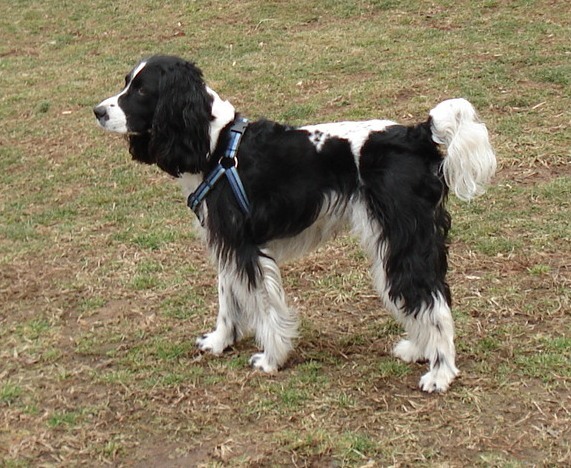 With the nice weather finally coming to the mid-Atlantic region, Matix will be looking forward to new opportunities to run, chase birds, and maybe even learn to play fetch. Would you like to come and play with him this spring? ?